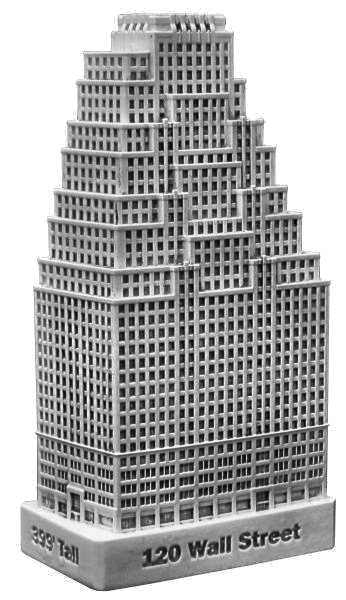 120 Wall Street is located in the Financial District of Manhattan and was completed in 1930. This building was designed by Buchman & Kahn Architects and stands 399 feet tall with 34 floors. This pewter replica stands just over 4-3/8 inches tall and is finished in white with black stain. This model's scale is 1 inch = 100 feet. This bldg replica is a classic!